The Witcher 2: Assassins of Kings contains many different paths and storylines, along with multiple endings. 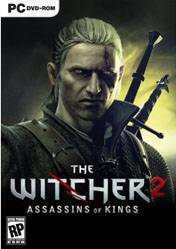 As in the first game, the player takes control of Geralt of Rivia, one of the few remaining witchers. Witchers are humans that have been genetically enhanced and trained to fight monsters from a young age.They have special Powers, different in each Witcher. These include Alchemy, Magic, and Sword Handling (swordsmanship). Intricate as usual and also very good !